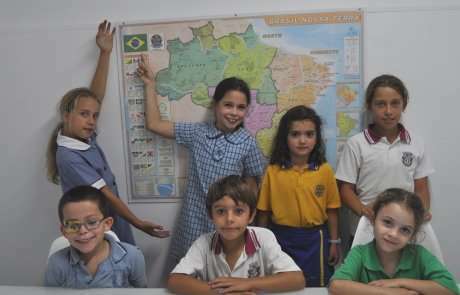 The ABCD offers Brazilian Portuguese language classes to children from five years of age in various locations in Sydney, Australia. The ABCD is a member of the NSW Federation of Community Language Schools and accredited by the NSW Community Languages School Program of the Department of Education and Training (DET) NSW. It employs only qualified and experienced Brazilian teachers and uses a curriculum based on official Australian and Brazilian requirements. 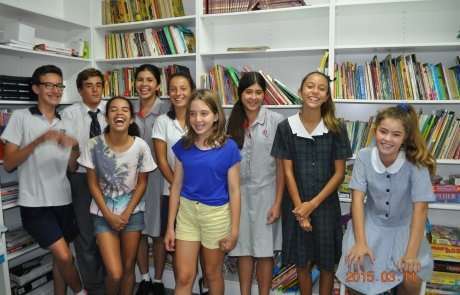 The classes aim to assist parents to teach their children to speak, read and write in Portuguese and maintain their Brazilian cultural traditions so as to help the children to become proficient, proud bicultural beings. Annual membership applies to all student families ($45 per family per year or $105 per family for three years). Membership is paid when first enrolling and again after one year. Cheque made out to Assoc for Brazilian Bilingual Children’s Develop Inc and sent via Post. More information about classes, download our handbook or contact classes@abcd.org.au.